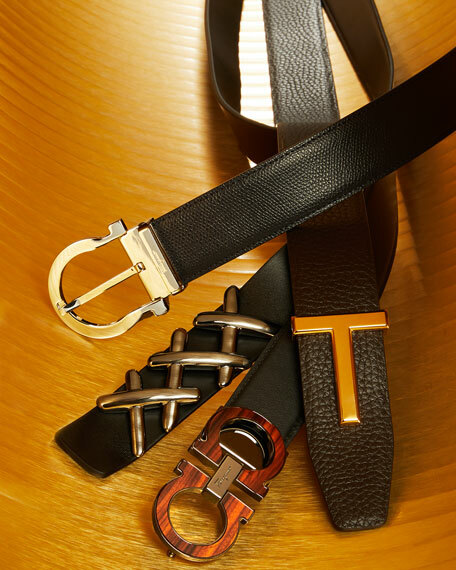 Salvatore Ferragamo reversible belt in calf leather. Rose-tone Gancini buckle with logo-engraved center bar. 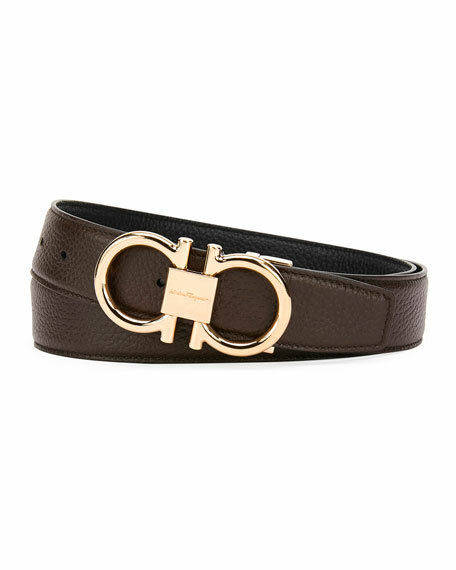 Salvatore Ferragamo leather belt with studded strap detail. 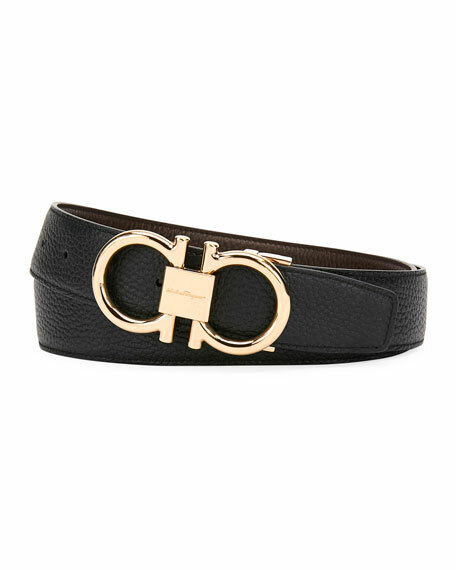 Gold tone Gancini buckle. Approx. measurement: 1.3"W. Adjustable. Calfskin leather. Made in Italy.